The Blake Jones Trout Derby, held in Bishop every year in March, is one of the largest single day fishing events in California. The Bishop Area Chamber of Commerce began the annual fishing derby in 1968 and renamed it the Blake Jones Trout Derby in 1988 in honor of one of the region’s greatest fishing legends, Blake Jones. Jones was the inventor of a form of cheese bait that revolutionized the fishing industry – so whenever you bait your hook with Powerbait or a modern cheese bait, you have the late Blake Jones to thank. His enthusiasm for fishing was infectious and he helped many people learn to fish and improve their skills. Jones had extensive experience and in depth knowledge of fishing the waters of this region and with his charismatic personality he was the perfect spokesperson for Bishop and the Eastern Sierra. He helped spawn the local fishing tourism industry. Sadly Jones passed away before the first derby bearing his name was held, but his legacy lives on. 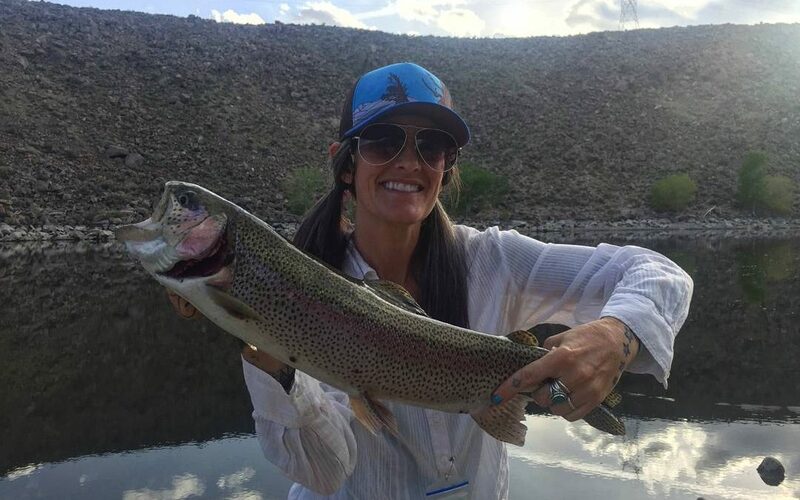 This pre-season family oriented event is held at Pleasant Valley Reservoir, six miles north of Bishop, where fishing is allowed in the reservoir and along a stretch of the lower Owens River – all year long. The Derby is not just a chance to win fantastic prizes, but also an opportunity to get ready for the general fishing opener which is the last Saturday in April when all Eastern Sierra waters open for trout fishing. The derby format includes a “Blind Bogey” so everyone has a chance to win some of the great cash and gear prizes on offer valued at over $10,000. California Department of Fish and Wildlife (CDFW) plants fish regularly at Pleasant Valley Reservoir and Owens River and the Bishop Area Chamber of Commerce purchases extra fish from Desert Springs Trout Farm for the event. There are always lots of fish and plenty big ones too! This is an angler’s dream event where fishing comes first! However, for family and friends who need a change of pace or scenery Bishop offers a host of alternative things to do during the weekend. The area offers some of the best spring hiking, mountain biking, photographic opportunities, and incredible night sky viewing. So don’t leave anyone (not even the furry family members) at home. Find out more about all the great activities available here in this previous ‘not-so-much-fishing’ related blog, A Few Fun Ways to Celebrate Fishmas – besides Fishing! March in Bishop is springtime! That means you can expect almost any kind of weather – from hot and sunny to cold and windy, perhaps some snow or a little rain, and sometimes all of it in the same day. Spring in the Eastern Sierra is very unpredictable and highly changeable. Wildflowers could be in bloom and the waters of the Owens River can run high if winter snowfall has been good or low if winter has been dry. Nevertheless it’s always beautiful and wild! American White Pelicans gather by the hundreds during migration in the spring and the fall. 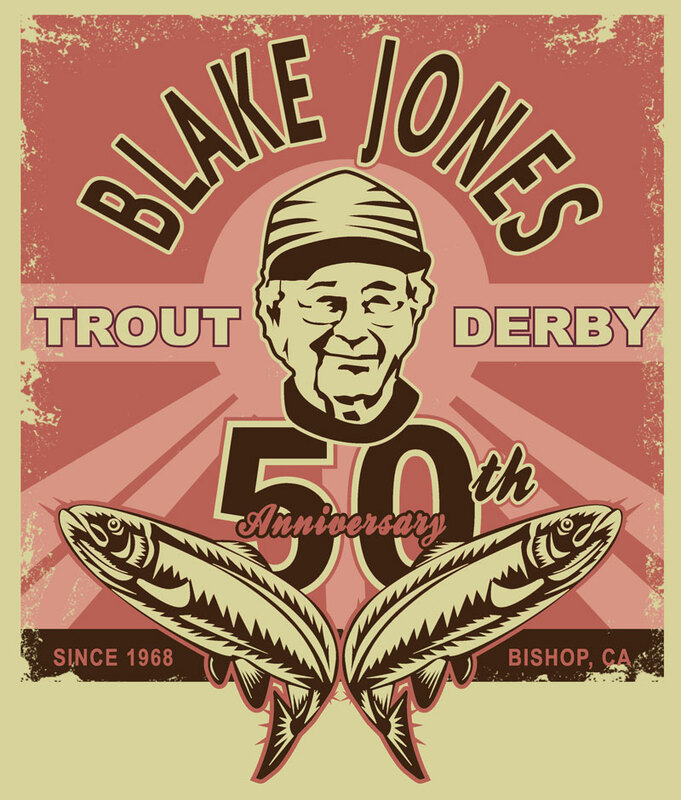 The 2018 Blake Jones Trout Derby will be the 50th Anniversary of this event. The only year in the history of this event that the derby was cancelled was 2017, which would have been the 50th in consecutive years. However, the historic record-breaking winter snowfall of 2016-17 resulted in extreme spring water runoff conditions and the river was deemed to be too dangerous to fish. Staff of the Bishop Chamber of Commerce, local anglers, and business owners are notably proud that the legacy of Blake Jones still continues and this upcoming 50th Anniversary event is going be staged and celebrated with the towns’ customary flair. 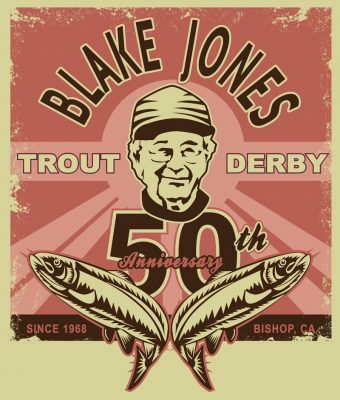 Register for the 50th Anniversary (take 2) of the Blake Jones Trout Derby online here or by mail or at the Tri-County Fairgrounds on the day of the Derby. A new venue for registration, check in, weigh station, and prize giving is at the conveniently located Tri-County Fairgrounds in downtown Bishop. The entrance to the Tri-County Fairgrounds is on Sierra Street and we must warn you that there is no physical address for the fairgrounds. So GPS or Google mapping won’t give you anything good to follow. Check out this video and follow these directions. There is plenty of parking at the fairgrounds and on-site RV camping may be available – contact Eastern Sierra Tri-County Fairgrounds at 760-873-3588. Please obey all speed limit signs as you enter town. 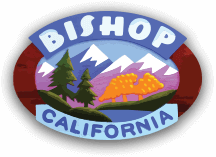 Remember that US Highway 395 is also Bishop’s Main Street where many pedestrians cross. Plenty of free parking is available just a block east or west of Main Street and all of the retail shops and restaurants have entrances from the parking lots. The Pleasant Valley Reservoir is a 6-mile drive from downtown Bishop north on US Highway 395 to Pleasant Valley Rd. Turn right and follow the road to the road closure at the base of the dam. Shuttle service will run between the Eastern Sierra Tri-County Fairgrounds and Pleasant Valley Reservoir all day on derby day. Visit Bishop and fish the 2018 Blake Jones Trout Derby to stand a chance of landing your share of over $10,000 in prizes including high quality rod & reel combos, float tubes, custom lures, lodging, dinners and other goodies from local merchants and friends of the Bishop Chamber. 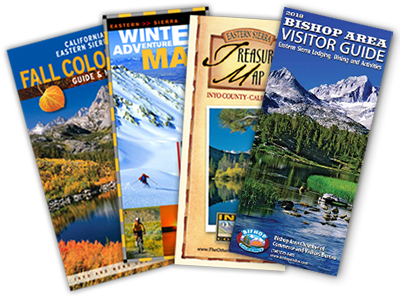 Pop into or call the Bishop Visitor Center at 690 N. Main St. or (760) 873-8406 and let the friendly, knowledgeable folks there help you plan a weekend of fun and fishing.